We all have different ways of saving money on our regular family shopping but what are your favourite methods of spending less each month? There are some great ideas out there to help make your monthly budget go further. Of course, those tips are now vital because the UK cost of living is so high. 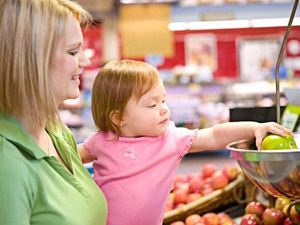 The following are some of the best smart family shopping ideas to think about using. Making a bunch of different meals for the family can be a headache and it can also end up costing a lot more money as well. With different meals to prepare, the only way to get everything ready on time is often to rely on pre-cooked meals or takeaway meals. The best way to save money on food is to cook at home, with everyone eating the same meal. This could take a bit of thought but there have got to be a few things that everyone in the house likes and that you could look up the recipe for. This way, you can go shopping for ingredients such as pasta, rice, vegetables and spices instead of buying different pre-cooked meals for everyone. Do you ever buy second hand items? This can be a terrific way to get hold of cheap clothes, books, furniture and a lot more. By buying from your local charity shops you can spend a lot less and also support a worthwhile cause at the same time. You might feel a bit wary about buying second hand products at first but once you get into the habit you will start to see the benefits and enjoy it more. It is far too easy to let the money drift away on impulse purchases, isn’t it? Buying online is a clever way of avoiding impulse buys, as you aren’t looking at tempting items in the checkout queue or seeing other shop windows on the way there. Another idea is to only go to the supermarket when you have a fairly lengthy list of essentials to buy, rather than going on a regular basis to buy just a couple of things. If you have a big list of items to buy then you are less likely to be tempted by anything else non-essential. Going shopping without the kids and leaving the bank cards at home are other sensible ideas to consider. One of the simplest ways of making a saving is to look for vouchers on the internet. This means that you can very simply and quickly make a saving on a range of different products, from clothes to beauty products to technology. The best idea is to check out the offers on big voucher sites, as you will find lots of different savings just by browsing the pages on the site. It is easy to get into a saving money frame of mind and go a little bit too far. For example, you might think that buying giant packs of everything is a good idea. Buying in bulk is a good idea but only when it makes sense to buy a lot of the product in question. For instance, you could safely buy giant multi-packs of toilet paper and big bags of sugar. However, anything which has a relatively near sell-by date is going to be a riskier purchase. The savings you make in buying in bulk could disappear if you end up having to throw away some of the stuff you bought. What smart shopping tips have you come up with that aren’t on the list? 6 Responses to What Does Smart Shopping Mean for Your Family? Saving money is such a huge topic. Thanks for sharing these four valuable tips. We save money by not taking vacations and a big saver for me, because I live in a different country than almost everyone I know is to use Skype. It is free to talk to anyone in the world who has an internet connection. Do you catch the word free? We eat out very infrequently – while there are a few things that I make for meals that my son doesn’t care for, we all eat the same thing 95% of the time. The thing is, a lot of time people justify eating out because they don’t have time to cook. Unless you’re getting fast food, the process of going out to eat takes just as long as cooking most meals! I agree Brock. In fact, it is often a far longer experience if you add in the traffic and parking issues. Love all of these tips! I buy all paper products and toiletries in bulk and get significant savings doing that. I also think people that cook several meals to satisfy everyone have way more energy than I do. Cannot imagine that, except on leftover night!